PreviousPrevious post:Blow Outs Style GuideNextNext post:The BLOWOUT Is Back! Have a question? Trouble scheduling online? Chances Are You Used Expired Mascara This Morning. 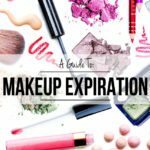 Expired makeup can make you break out or even cause infections, so get on it Ladies and check your makeup! Spend a little time with our team of trusted beauty experts, and the only concern on your mind is how soon can you come back.